In every group of moms you're going to have at least a few who really need to get away for a weekend! (heck, probably every mom in the group needs to escape for at least a night or two without the kids.) And while I love romantic weekends away with my husband, child care is always an issue. Girls' getaways are much easier when Dad can stay home with the kidlets. 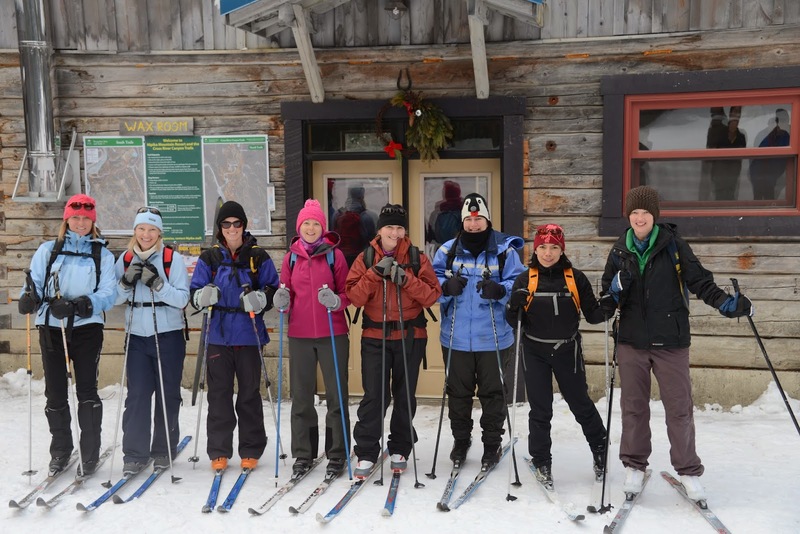 Below are some photos and a brief story on our recent girls' trip to Nipika Mountain Resort. I'm going to spare you a long story and focus on the photos because they usually do a much better job at describing a trip. 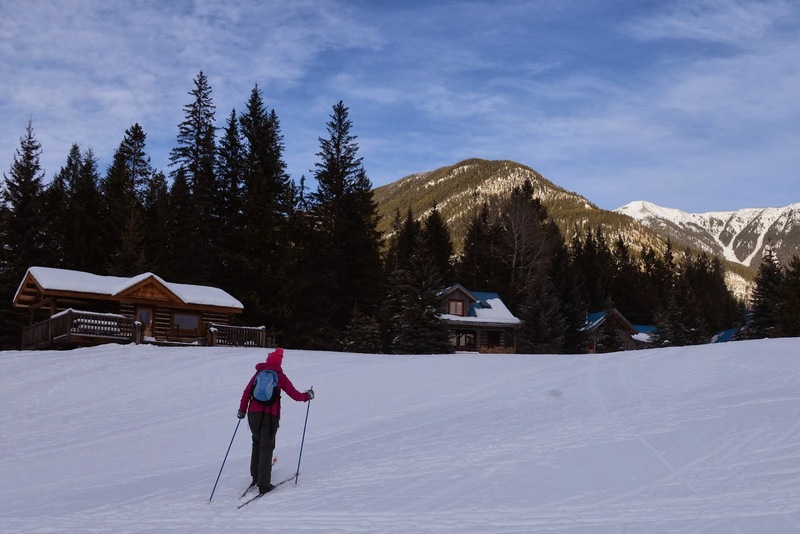 Nipika Mountain Resort is located about 45 minutes outside of the town of Radium Hotsprings. 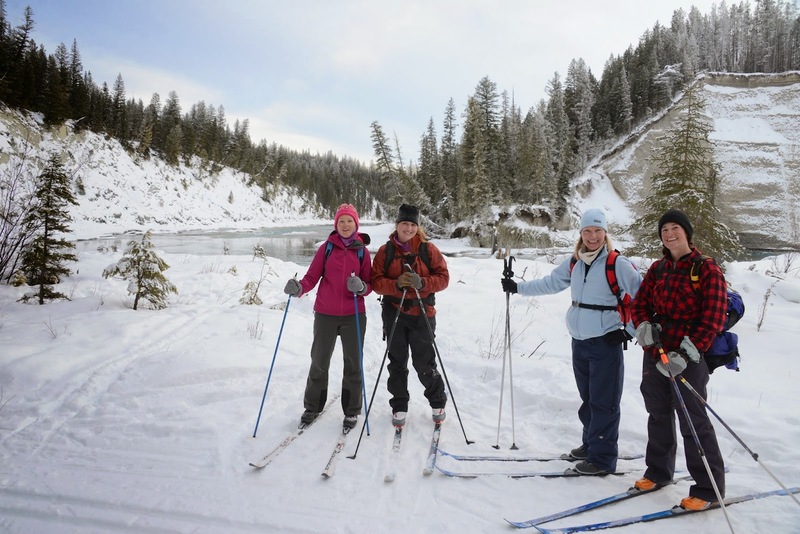 It is accessed off of Settler's Road from Highway 93 that runs through Kootenay National Park. 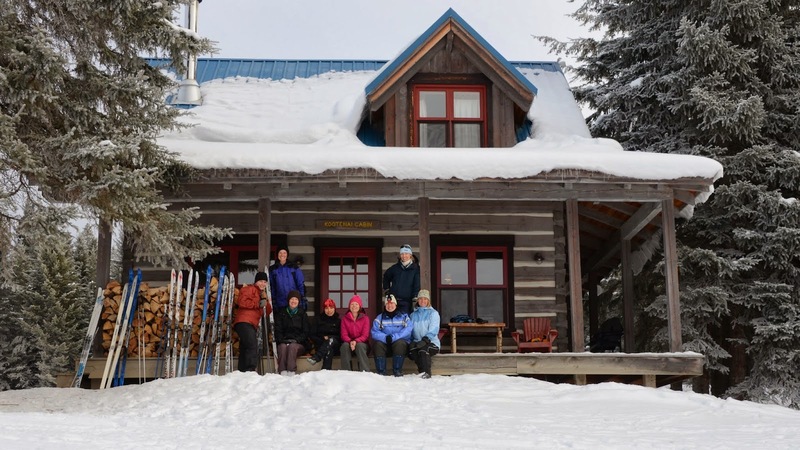 For a complete review of Nipika, read my story from last winter: Everything for a Family to Love at Nipika Mountain Resort. We stayed at Nipika last year as a family but this story is not about a family trip. There were no kids allowed this year!! We stayed in the Kootenai cabin which sleeps 8 if you include the pull out sofa bed in the living room. While it would have been more comfortable with 6, we squeezed 8 into the cabin to make the trip affordable for each of us. We did our own cooking in our cabin and divided up meals/groceries so that we weren't all hauling out coolers over packed with food. 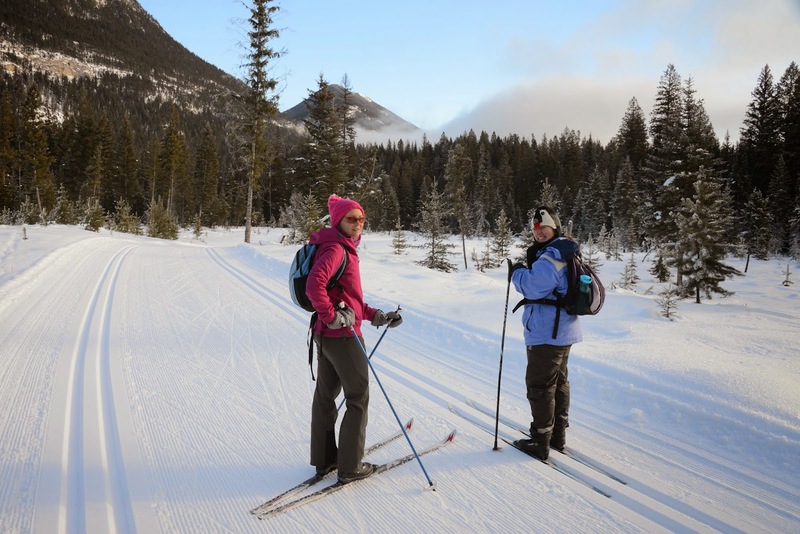 We spent the weekend cross country skiing on the fabulous trails at Nipika. The resort grooms and maintains 50km of trails, and you'd be hard pressed to find better grooming and track setting anywhere! So great to ski at an adult pace for two days!! 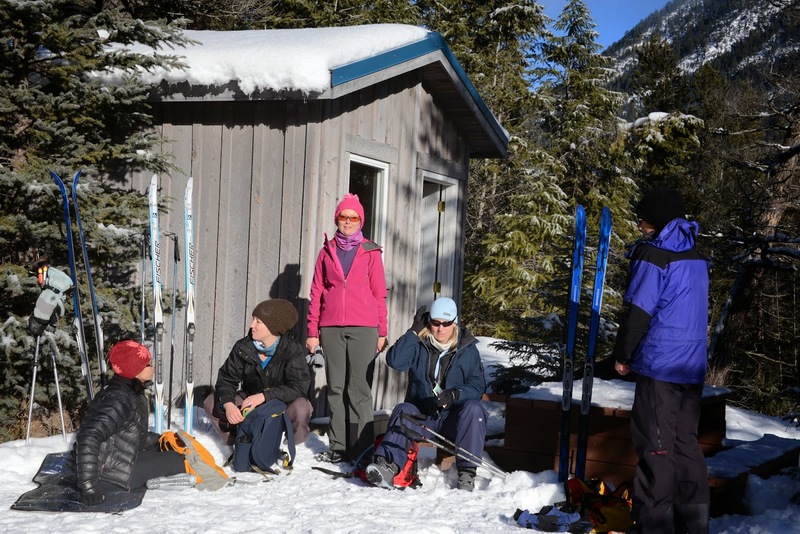 When we weren't skiing, we used the wood fired hot tub, played games in our cabin, enjoyed down time with books, and spent a lot of time chatting as girls do best. As Rustic As It Gets! We all returned home feeling rejuvenated and ready to tackle another busy week. Thanks to my friend Jen for the use of some of the photos in this story. Looks absolutely lovely. I have just recently heard of Nipika but have never visited. 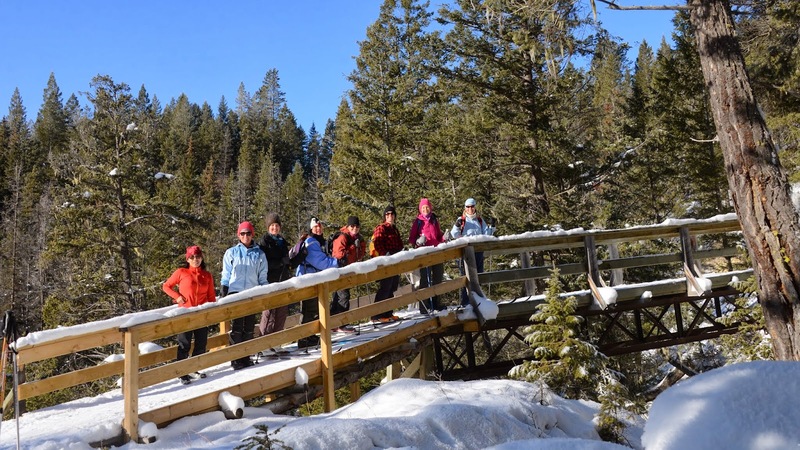 Is the access road close to Radium Hot Springs? Yes it is close to Radium Hotsprings. Settler's Road is approx. 25km away.